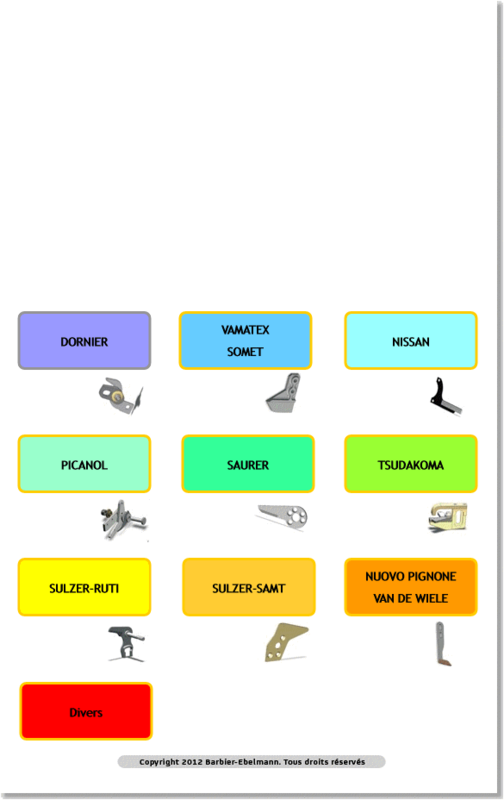 As an organisation renowned for its orientation in the textile tradition, BARBIER-EBELMANN offers a complete range of replacement parts adaptable for use on machines by the manufacturers listed below. Most item references can be adapted for working with technical fibres by integration of hard materials such as polycrystalline diamond (PCD). A proactive participant, capable of identifying and assessing your requirements, BARBIER-EBELMANN aims to develop your productivity, improve your competitiveness and guarantee you total satisfaction.